Fair-Way Properties are happy to present a 2-bedroom apartment, located on the second floor of the converted former Pick knitwear factory. A 2 bed town house located in a cul de sac on the popular Thurcaston Park estate. Thurcaston Park is part of the new Ashton Green Development which will have its own schools and shops over the coming years. 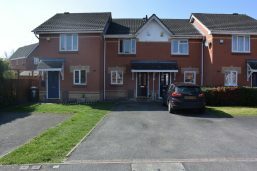 Fair-Way Properties are happy to offer this well presented 4 bed detached home for sale with no chain.